Looking for something really strong? Natec Boxer is a champion in category of safety. 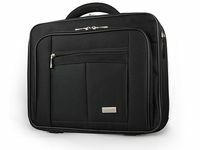 Its unique design was created to ensure maximum safety for your laptop. 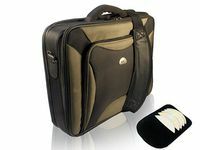 It has a lot of features that distinguish it from other bags. 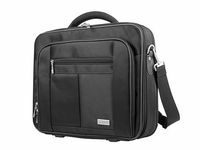 Most of laptop bags are not able to ensure adequate cushioning the bumps, drops and other unfortunate events that can happen during heavy use. 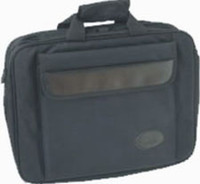 The main Idea Natec Boxer bag Is to create which guarantee that your laptop will be safe in any situation. 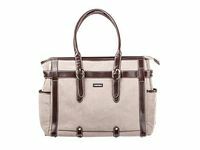 Designers of this bag have not forget about universality and they equipped Boxer into great amount of pockets and compartments. 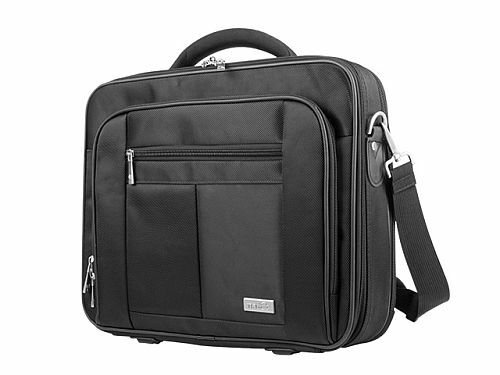 Nice look of classic design will attract those who are looking for elegant products for casual and business use. Airbag for your laptop. The system of special shock-absorption insert placed on inner wall of the bag. It consists of a soft neoprene "cells" which perfectly absorbs all shocks and impacts. X-shaped straps made of soft, flexible material hold the laptop in every situation . 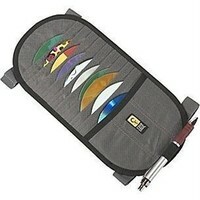 Their soft finish of the straps protects the surface of notebook against abrasion. In addition, in case of unforeseen impacts, supports against dangerous shocks.